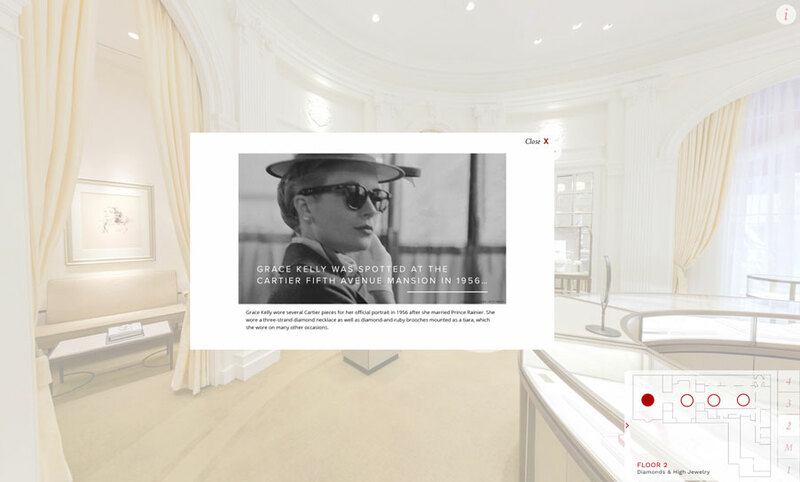 To celebrate the renovation of the flagship Cartier store on Fifth Avenue and 52nd Street, Emblematic was awarded a two-part commission: a “time travel” video that lets the viewer experience the scene outside the building in three different decades, as well as a virtual tour of the interior of the new store. 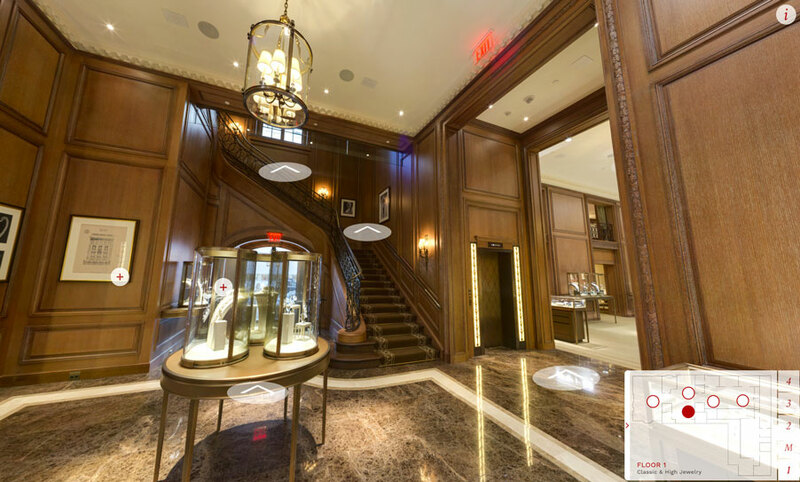 The time travel piece begins in 1910, with a horse and cart, Model T Ford cars, and pedestrians in period costume; it then transitions to 1970, with the appropriate shifts in architecture, vehicles, and clothing, before resolving to the present day, with a view across the avenue to the new store in all its glory. 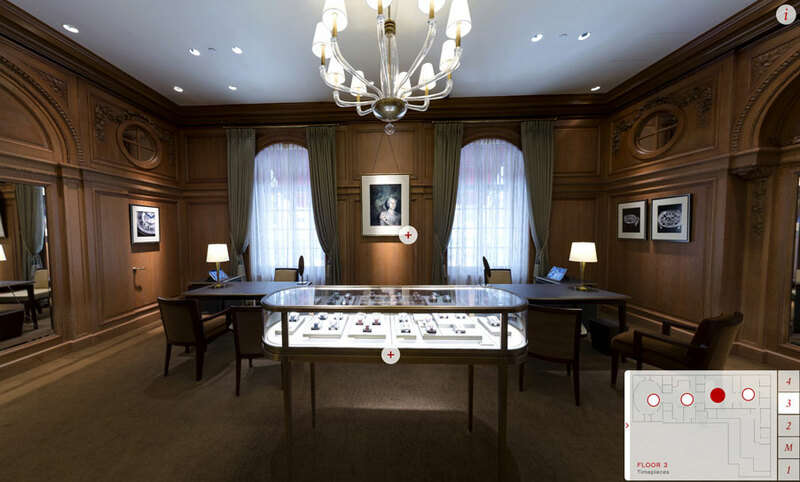 The piece was based on meticulous historical photo research, combined with high-resolution animations of people, vehicles, animals and props. 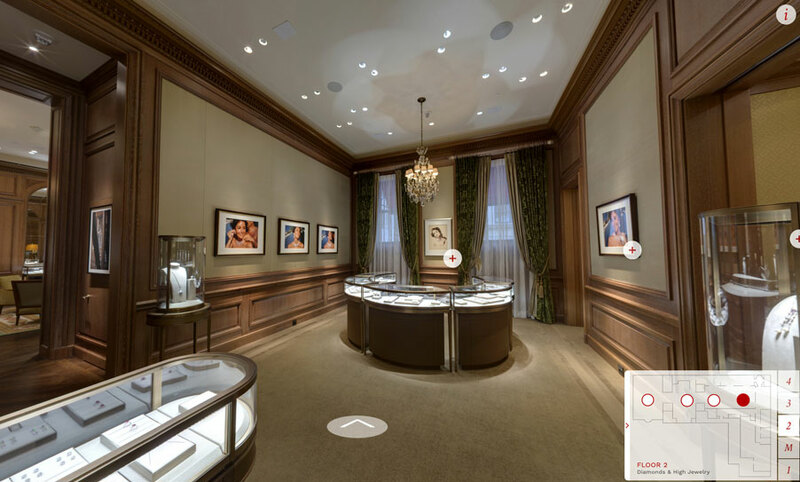 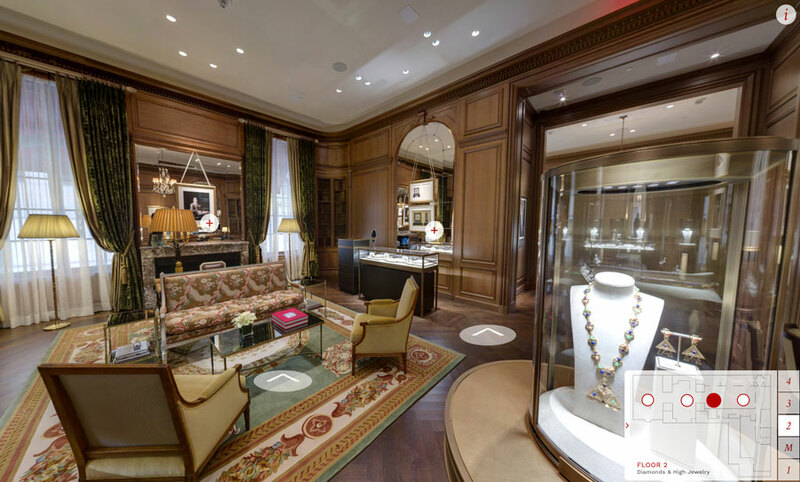 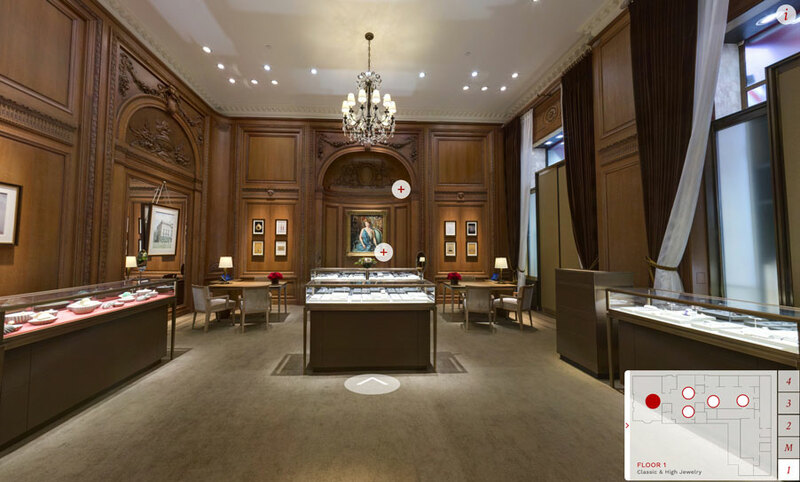 The virtual store tour was realized using the highest possible photographic resolution, and incorporates a range of interactive 'hot spots' that bring the experience to life.